Stephen Harper has come out against his successor's handling of NAFTA negotiations with the United States, with the former prime minister declaring the negotiations in real peril in a memo titled, "Napping on NAFTA." 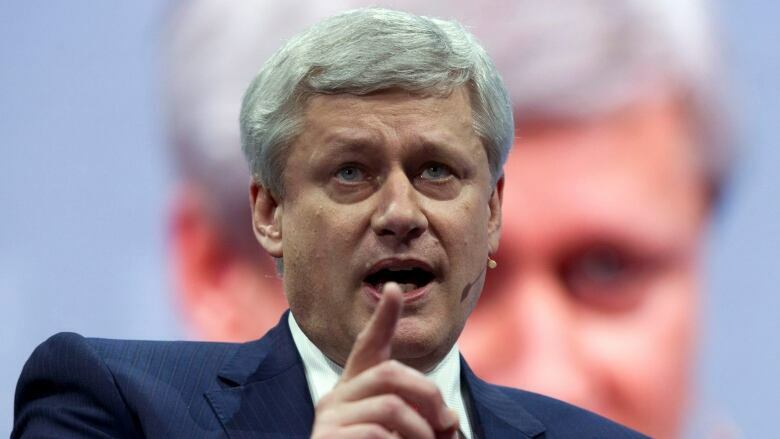 "I came back alarmed," said the Oct. 25 letter signed by Harper, and sent to clients of his firm Harper & Associates. "I fear that the NAFTA re-negotiation is going very badly. I also believe that President (Donald) Trump's threat to terminate NAFTA is not a bluff … I believe this threat is real. Therefore, Canada's government needs to get its head around this reality: it does not matter whether current American proposals are worse than what we have now. What matters in evaluating them is whether it is worth having a trade agreement with the Americans or not." Foreign Affairs Minister Chrystia Freeland described Harper's position as "capitulation." "This is a gift to the Americans," said one current Canadian official. "There's nothing Wilbur Ross and Robert Lighthizer [from the Trump administration] want to see more than prominent Canadians standing up to suggest making concessions to the Americans. Make no mistake: Wilbur Ross and Robert Lighthizer will be very happy with this letter." Lisa Raitt, the Conservatives party's deputy leader who served in Harper's cabinet, said the former prime minister was just "putting his thoughts down on paper" and that "a lot of people agree with him." "He's just putting his point of view forward on how to approach it, and what he would be advising if he were in the spot, and I think it's very valid for him to do that," she told CBC News on Saturday. First, it suggests Canada has been too quick in rejecting American proposals as a "red line," or "poison pill." He said such knee-jerk refusals are only a viable strategy if you truly believe Trump cannot cancel NAFTA — an assessment Harper does not share. Second, he suggests the government made a tactical error by co-operating too closely with Mexico. He says Trump campaigned on constant complaints about Mexico, not Canada, and Harper appears to suggest it was unwise of the Liberals to insist upon renegotiating a trilateral NAFTA: "How did we get ourselves in this position? … The elephant is Mexico … In fact, the U.S. is both irked and mystified by the Liberals' unwavering devotion to Mexico." Third, he criticizes the Liberals for pursuing their progressive trade policies in these talks: "Did anyone really think that the Liberals could somehow force the Trump administration into enacting their agenda — union power, climate change, aboriginal claims, gender issues? But while the Canadian government was doing that, the Americans have been laying down their real demands." "It is a bit sad," said a second Canadian official, requesting anonymity. "He's basically saying we need to make more concessions to the Americans, turn our backs on workers, turn our backs on softwood workers … put thousands of aerospace workers out of work."